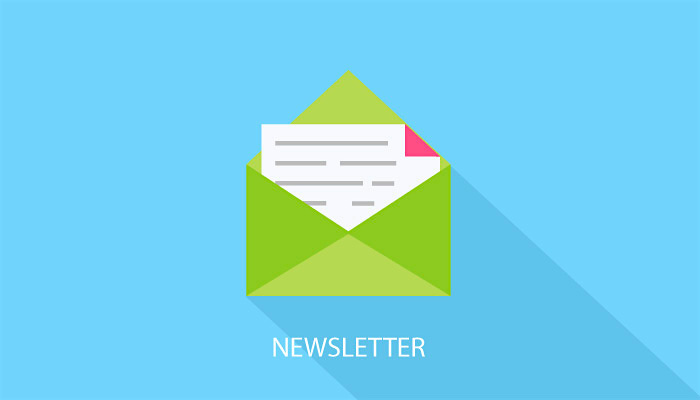 Since my last newsletter THHN has had many more exciting new developments to inform you of as well as continuing to give away more action packed free holidays to deserving families. Firstly on to fund raising and some very big thank you’s to do, on the 5th May I was lucky enough to attend Pavey Group Charity Golf Day Caribbean Style evening function in aid of THHN. This was an incredible night with 180 guests attending at the wonderful venue of Exeter Golf & Country Club, there was live entertainment from the band “The Cadence” a hot buffet, an amazing prize draw and great company! All in all over £4,000 was raised on the night. I would like to thank everyone involved with the organising of the event especially club captains Paul Smale and Vivienne Worthington, all who attended and all of you who were kind enough to support the event by purchasing draw tickets. I look forward to the next event that club captains have organised and really can not thank them enough as the money they will raise for THHN over 2011 really will make huge changes to the number of families we can help. Next huge thank you goes to Sue & Richard Parsons of THHN member business Richies Diner in Paignton who worked so very hard in turning the theme of the diner in to an Alice in Wonderland Mad Hatter’s Tea Party! They organised lots of special events and fundraising ideas and over a two week period of all staff being in fancy dress they raised an incredible amount which is reported to be over £1,000, once again huge thanks to all involved in raising the money and to all of the staff who had to wear the whacky outfits whilst working. Training had been going really well until I tore a calf muscle and strained my Achilles which has proved a huge hindrance and stopped all training for 3 weeks and the injury has now reoccurred so lot’s of treatment and rest required to get me through my next runs. So far I have raised £1,045 and would really like to raise even more!! Thank you so much to all who have already very kindly sponsored me and sorry to keep going on but if any of you would like to help me raise my total you can do so by following this link or by popping in to visit me here at the hotel and filling in a sponsorship form. June the 19th is going to be a busy day for me as after running the Torbay Half Marathon the THHN has an awareness day as part of “Hanburys Fish & Chips on the Downs Music Festival”. This incredible event is in its 3rd year and will be taking place on Babbacombe Downs on Sunday 19th June from 11.30am – 9.30pm. The event is in it’s 3rd year and is a fantastic day out that gets bigger every year! The concept is to buy your fish & chips from Hanbury’s and take them on to the Downs to eat in the huge marquee where there will be live bands and entertainment all day long from magicians, dance classes, comedy and bands to suit all tastes to name but a few. All profits from the chip shop will be donated to Rowcroft Hospice and I am helping to organise an auction to raise money for Children’s Hospice South West, if any of you would like to donate a prize please do get in touch as we would be ever so grateful for help in raising as much money for a great cause and we are in need of more support! A big thank you to all of you who have already contributed. The other objective of the day is to raise awareness about the THHN and to encourage more businesses to support us! I really do hope to see you there! A big thank you to a very kind lady who wished to remain anonymous who very kindly donated a brand new boxed Playstation 3 with games and controllers to the THHN, this will be offered to visiting THHN families to have use of during their holidays, I am sure the kids will get hours of use and pleasure form this. I have purchased a carry case and further controllers for this but if anyone would like to donate any used or new games they will be very warmly received. Next on to the eight holidays that have been taken since my last newsletter, the first was at the Ashley Court Hotel in Torquay where a family referred from the Bristol CLIC Sargent team who have a child suffering from Leukaemia enjoyed a much needed break. Huge thanks to Steve and all of his staff who always look after THHN families so very well! Holiday number two was taken here at the Hotel De La Mer where a family referred from the Birmingham CLIC Sargent team who have a child suffering from Leukaemia enjoyed a weekend break and as usual the family had a great time. Holiday number three was taken at the Hotel De La Mer where a bereaved couple referred from the Child Bereavement Charity enjoyed a weekend break away. Holiday number four was due taken at the Hotel De La Mer by a family referred from the charity PASIC who have a child suffering from Neuroblastoma but sadly the child was too ill to travel and another holiday has been booked for later in the year so fingers crossed they are able to make it. Holiday number five was taken at the Anchorage Hotel in Babbacombe, Torquay where a family referred from the charity PASIC who have a child suffering from Leukaemia enjoyed a much needed holiday away from hospital appointments. As usual Daryl and his staff took great care of the family and they had an incredible time so huge thanks to all. Holiday number six was taken at the Hotel De La Mer where a family referred from Rainbow Trust Childrens Charity who have a child at an end of life situation enjoyed an 8 day stay. Holiday number seven was taken this weekend at the Hotel De La Mer by a bereaved family referred by Child Bereavement Charity. Holiday number eight was also taken this weekend at the Hotel De La Mer by a family referred by Taunton CLIC Sargent Team who have a child suffering from Aplastic Anaemia. A massive thank you to all who have provided holidays, all who have offered holidays and all of our members who offer free services, without your support the THHN would not exist, your continued support is invaluable! We do currently have a shortage of holidays on offer so if any of you are able to offer a break of any description I would be most grateful of any offers! Thank you to all of our members and referring organisations once again the THHN would not exist without your support!